a micron for the wave length of red light. If blue light is used, there will be twelve dark bands, whence the wave length of blue light is forty-five hundredths of a micron. Fig. 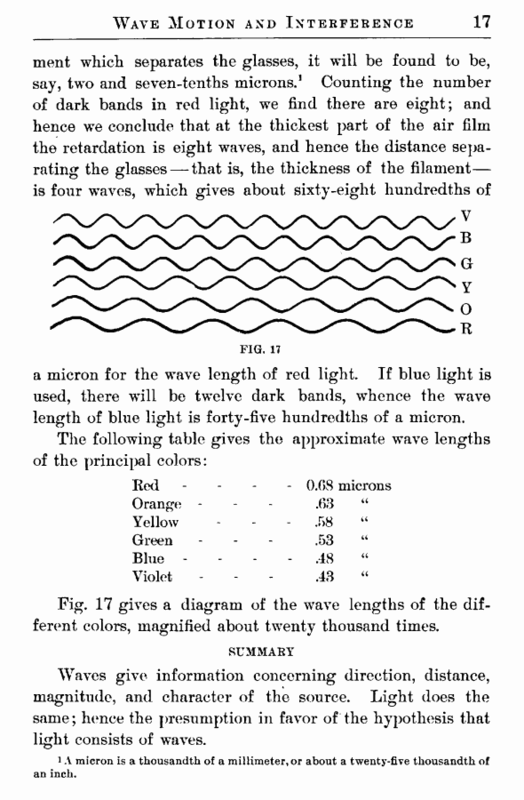 17 gives a diagram of the wave lengths of the different colors, magnified about twenty thousand times. Waves give information concerning direction, distance, magnitude, and character of the source. 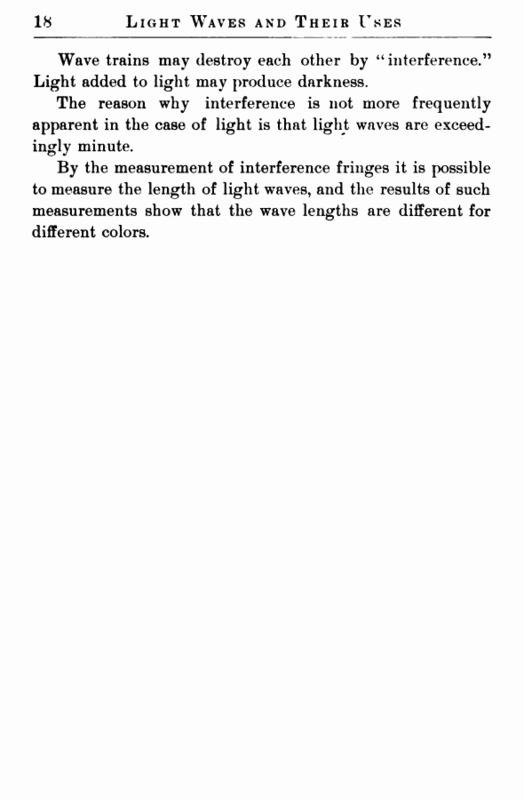 Light does the same; hence the presumption in favor of the hypothesis that light consists of waves. i A micron is a thousandth of a millimeter, or about a twenty-five thousandth of an inch.